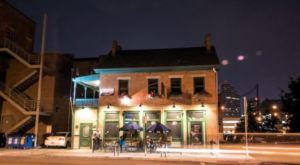 This restaurant has been serving the city for five generations, won countless awards, and carries a dish that has been voted as the official food of Columbus. Oh, and yes, they serve an all-you-cat-eat buffet that is quite incredible. Can you guess what I’m talking about? It’s the Autobahn Buffet at Schmidt’s Sausage Haus und Restaurant! 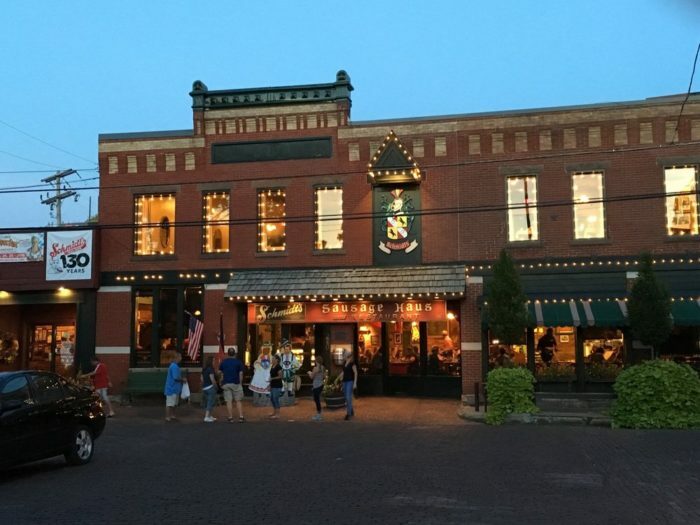 Schmidt's Sausage Haus und Restaurant is located in beautiful German Village. If you're surprised to find such a heavy German influence in Columbus, don't be. Many German immigrants came here in the early-to-mid-19th century, and at one point they made up nearly one third of the city's population. 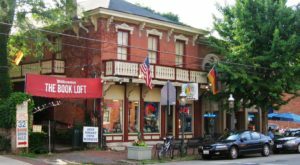 German Village was added to the National Register of Historic Places in 1974 and was made a Preserve America Community in 2007. Let's get straight to it: the incredible mouthwatering Autobahn Buffet! 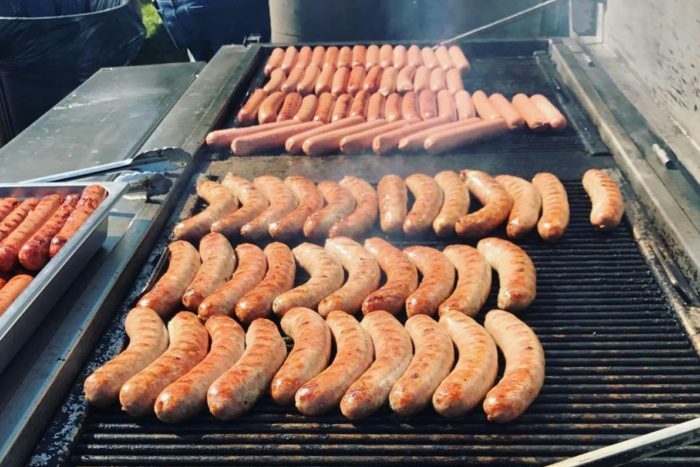 As you might expect, the Sausage Haus is particularly well known for, well, it's sausages. With all kinds of flavors, spices, and textures, the sausages available at the buffet are incredible. You will be tempted to try them all, but be forewarned: there are so many, you might not be able to taste to them all in one visit! 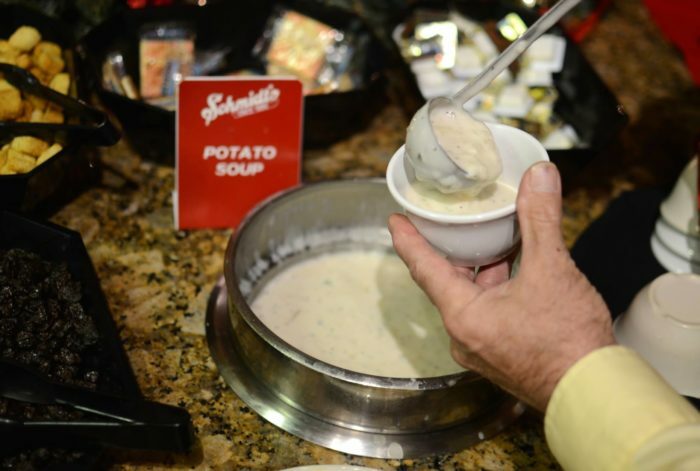 To complement your sausage selection, you will find plenty of other items at the buffet. 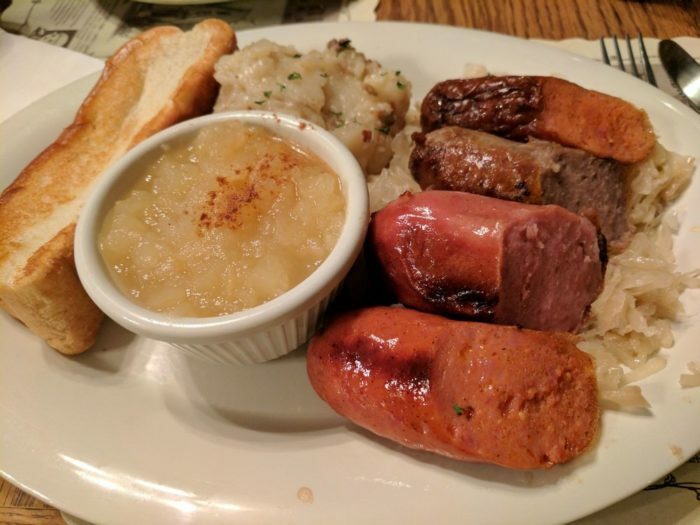 You'll see salads, a soup or two, and plenty of other German sides, like sauerkraut and mashed potatoes. One of the restaurant's many claims to fame is their Cream Puff. 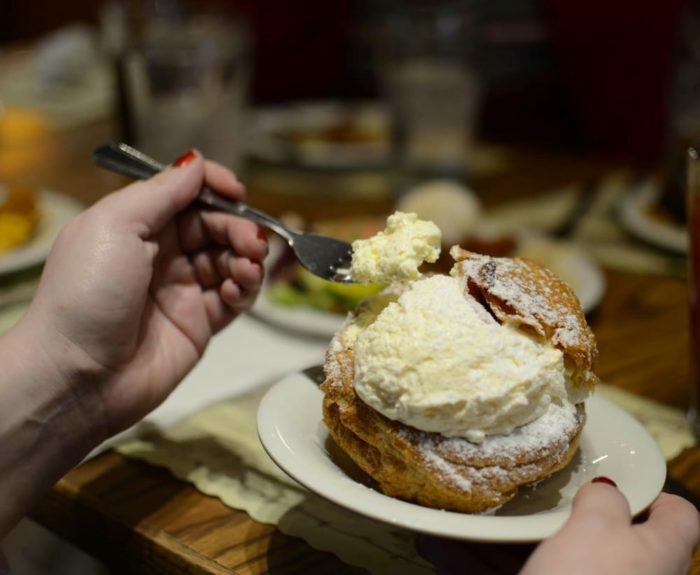 This is a traditional half-pound jumbo cream puff. Made with a fluffy dough and the most finger-licking smooth sweet filling, the cream puff comes at a discount to customers who order the buffet. Word to the wise: split this delicious monstrosity with a friend! Where better to find German beer than at a Sausage Haus? 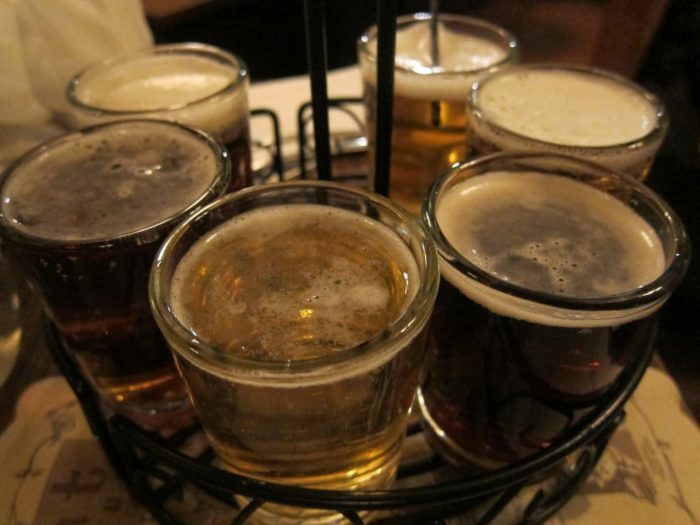 Order a glass or try an assortment with the beer sampler. You'll find many classic German style brews to choose from. In addition to the German flavors, you'll also find a great atmosphere here. 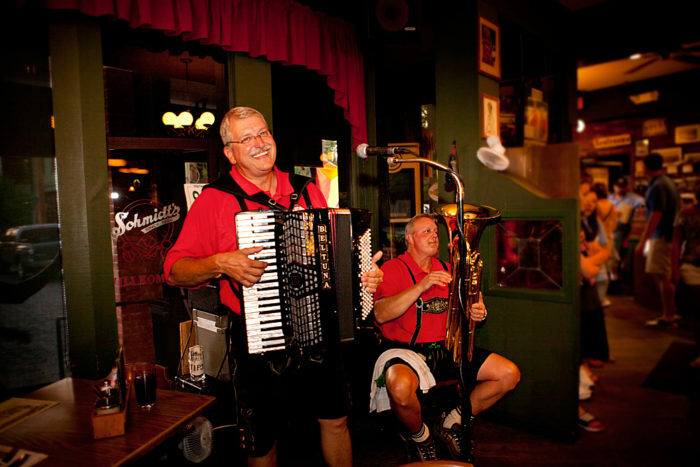 Staff wear traditional Bavarian outfits and you'll often find live entertainment as well. You will witness an authentic joyful German dining experience. 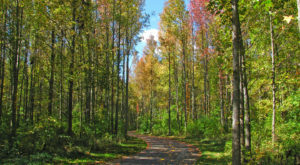 The business was established in 1886 and has been operated by the Schmidt family ever since. 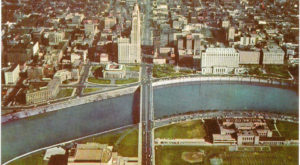 J. Fred Schmidt was born near Frankfurt, Germany and came to Columbus in the early 1880s. 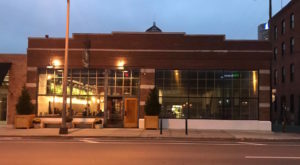 He opened the J. Fred Schmidt Meat Packing House just around the corner from where the current restaurant is located. 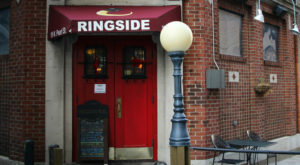 The restaurant was opened by J. Fred’s grandson, George F. Schmidt, in 1967. It is currently run by the fifth generation of the family. 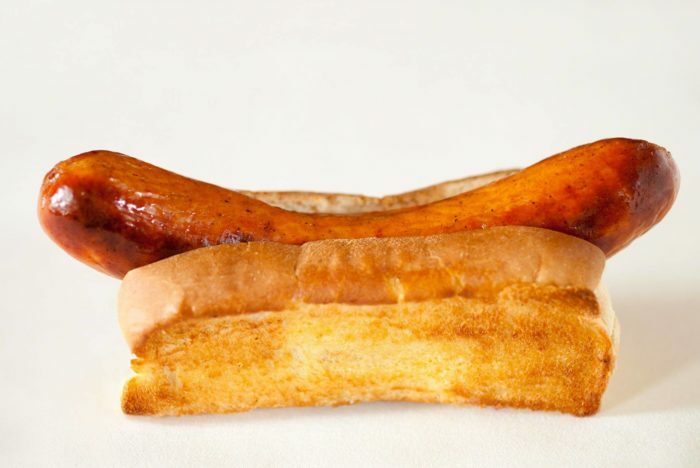 To this day, the restaurant makes all its sausages using the recipes that came from the J. Fred Schmidt Packing Company. Lots of the recipes for other items on the menu were also brought from Germany by staff who were hired to run the restaurant when it first opened. Their most famous sausage is the Bahama Mama. The Bahama Mama was voted the official food of Columbus! It is the perfect sausage, with just the just texture and the right amount of spice. 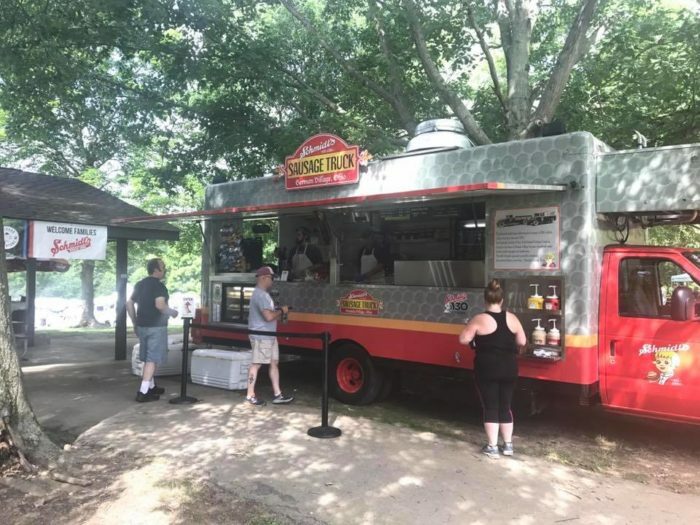 You can find many of Schmidt's Sausage Haus delicacies at their food truck as well. 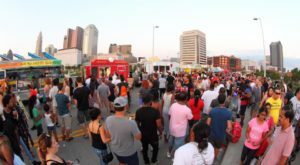 The food truck serves many parts of the city, as well as festivals and events. If you can't find time to check out the whole Autobahn Buffet, definitely look for the truck. The Bahama Mama is always available. 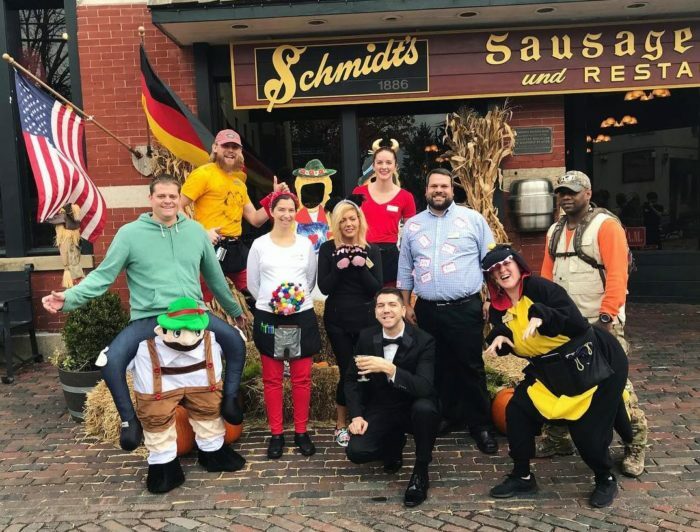 Schmidt’s Sausage Haus und Restaurant is located at 240 E Kossuth St., Columbus, OH 43206. 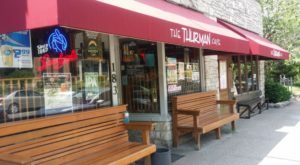 Reservations are not accepted, so be prepared for a bit of a wait if you visit during busier hours. You can always wander the beautiful streets of German Village while you wait. Have you eaten at this incredible buffet? Share your experience with us in the comments below. Prost!